Predicting the future is a tricky skill to master. Chris Losh, however, is keen to have a go. Who knows? If his forecasts come off, this time next year, we could all be millionaires. As a journalist, one of the joys of the job is to engage in a bit of crystal ball gazing; to predict untrammelled success for company X, and impending disaster for producer-country Y. Occasionally, these predictions are even accurate although, given all the ‘unknown unknowns’, the odds are stacked heavily against the forecaster. I doubt, for instance, whether 40 years ago anyone would (or could) have predicted the impact that the likes of Australia and New Zealand Sauvignon would have on the wine world, any more than Tim Berners-Lee foresaw the death of the high street when he created the internet. They might have foreseen an interesting New World niche; instead they got a world-redefining shift of the sort that Elvis visited on Middle America in the 1950s. There’s been nothing comparably seismic since then. What we have seen, I would suggest, is more a series of refinements and sub-categories. Stones or Beatles? Blur or Oasis? Barossa Shiraz or McLaren Vale? 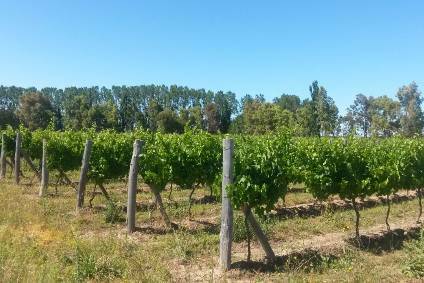 Argie Malbec or Central Otagan Pinot? Of course, fruit levels go up and down like hemlines. We’ve had the full-fat, ankle-length turbo-Chardonnays of the 1990s, and are now much more in mini-skirt territory, with some New World wines veering towards the indecent. In Europe, the changes have been more evolutionary than revolutionary – but marked none the less. Twenty years ago, a tasting of wines from Sicily, Portugal or regional Spain would have been eminently missable. Now, they’re some of the hottest tickets in town. In terms of current trends, I know that the wine world is very pleased with itself over natural wines, hands-off winemaking and liquid fermented in old flower pots. But, I would suggest that this is largely fiddling around the edges. It plays well with the press and the bloggers, looking to fill column inches with an instantly different story, but it’s unlikely ever to be more than uber-niched. In any case, while the means of production can be interesting and valid, I’m not sure it should become the story. After all, you don’t read a wine, you drink it. So, if it's not all about natural wines, what should we look out for over the next few years? Well, let me first of all say that I can’t see there being any game-changing shifts equivalent to the 1980s. Those days are gone, my friend. There have been a lot of contenders for 'Obscure Country to Watch' over the last 20 years, from Canada to Slovenia. I even remember Morocco having its champions way back when. But, Turkey, I would suggest, has a better chance than any of these. For starters, while production is still relatively small (65m litres a year is about a quarter of the likes of Austria and Hungary) it has a colossal area under vine for table grapes, so there’s plenty of potential for growth and an interesting combination of sea and altitude to play with. Exports are currently tiny (just 4% of production) so there’s room for growth there, too. And, while Turkey is not likely to follow the Chilean route of building its business in the off-trade (does anyone these days?) it has real potential in the on-trade. The likes of France, Italy, Spain and Argentina have all benefited from a strong cuisine, giving them instant ‘ins’ to restaurants all over the world (in a way that Chile, Portugal and Austria and Hungary, for instance, have not). Turkey has a similarly large ready-made export base on which to build. Of course, it will come to naught if the wines are no good, but the strides made of late have been huge, with a combination of old vines, modernised wineries and (sometimes) imported winemaking talent to help pull it all together. 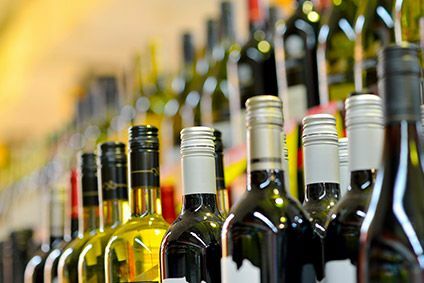 It’s much the same mix that has revitalised less-fashionable parts of Spain and Italy and, like these countries, has largely been achieved with native grape varieties. Of course, your average punter is unlikely ever to have heard of Narince or Kalecik Karasi. But, these varieties are proving to work genuinely well in blends with more recognisable grapes like Chardonnay, Cabernet and Syrah. 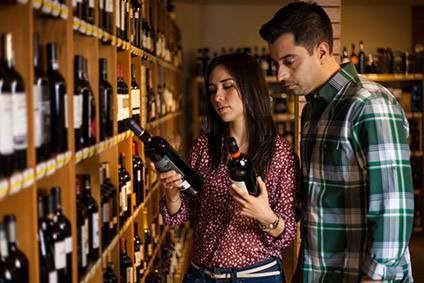 The Turks have no qualms about making single-varietal international varietal wines either - a powerful combination of the patriotic and the pragmatic. Provided the political situation remains stable, I’d say it has a decent chance, which is great news for those of us who want to see the word ‘Buzbag’ more widely-used. So, if Turkey is my ‘country’ prediction, how about a re-energised wine style? Well, I toyed with Carignan, which seems to be having a bit of a moment, as growers play with their seriously old vines, but I can’t help feeling it’s better in a blend. And, much as it is tempting to go way out on a limb and select Pinotage or make the thousandth journalistic prediction of great things for Riesling (which won’t happen, by the way) I’m going to go for Cabernet Franc. I’ve always quite liked Cab Franc as a grape variety - as have most people I’ve talked to. But, whoever does its PR should be shot. Even in Bordeaux, it gets little airtime, totally overshadowed by its peers. It’s the George Harrison of the wine world. And yet, at this year’s Sommelier Wine Awards in the UK, the grape was one of the big success stories. Leafy, but not green; ripe but not overblown; fresh but not hard and judiciously oaked – the flights left the sommelier tasters (who are not easily impressed) thunderstruck. These were wines that had charm, elegance, perfume, accessibility, food-friendliness and good pricing. 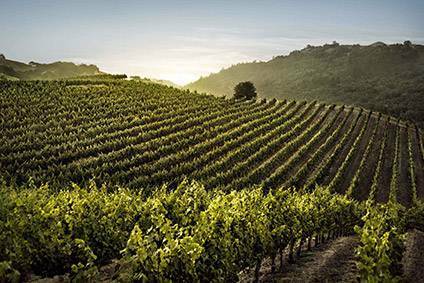 Moreover, there seem to be a growing number of people all around the New World who are making genuinely interesting wine with it. With the reassuring ‘C word’ in the name, the uninitiated won’t feel intimidated, while adventurers will be happy to go a little off-piste. Restaurants will love them for all the reasons above, but also because they’re different, and their lighter, fresher style is exactly what the public are looking for. So, Turkey and Cab Franc. You heard it here first. But if the predictions come off, don’t bother trying to contact me. I’ll be half way to Barbados with my winnings.